Jeanne McDonald is hosting a Goodreads Book Giveaway from February 3 - March 3, 2014. 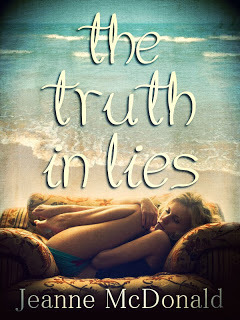 Enter for a chance to win a signed copy of her novel The Truth in Lies. Synopsis: Life is a sequence of choices. Some are deliberate, others are forced upon you. This was a lesson that McKenzie Evans knew all too well. After the miscarriage of her son, she made the hard decision to leave her absentee boyfriend and move in with her former college roommate, Olivia Hamilton. That’s when she was introduced to Andrew Wise, a brilliant attorney, working for his family’s law firm in Sarasota, Florida. Giveaway ends March 03, 2014.See the giveaway details at Goodreads.